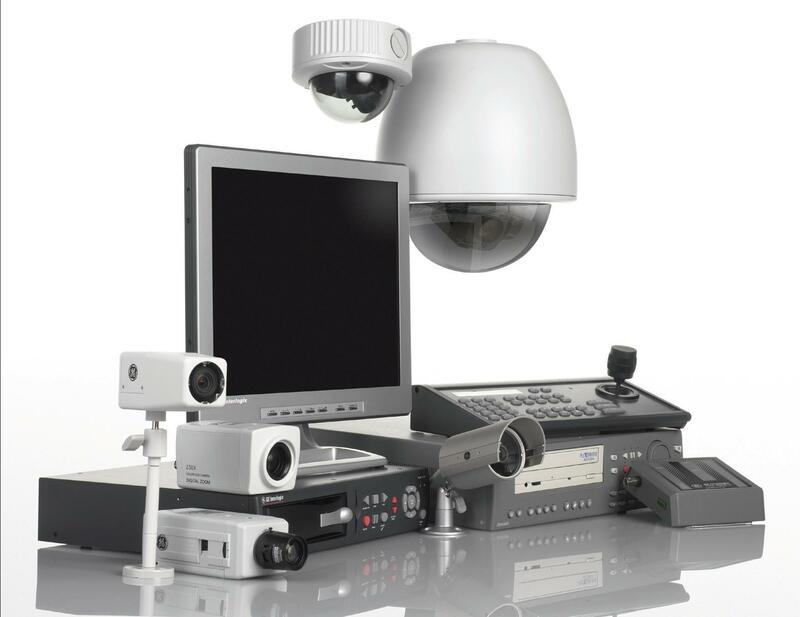 The need continues to grow and flourish when it comes to surveillance systems for your home. From a standard alarm system to a home security device and spy cameras, all of these items are becoming more prevalent in today’s society. More and more people are worried about protecting their home to the fullest extent. They want to ensure that their loved ones and belongings are safely secured inside of the property. Some of these items are for their own personal protection, but others are useful for spying on others around the area and inside of your home. Even though some people may fear that they are becoming paranoid, the reality is that people are just being more protective about everything that they have worked so hard for over the years.When you think about all of the reports in the news today about nannies who are robbing their employers blind, caregivers who are abusing the ones that they are supposed to care for, business employees committing vicious acts, robbers and thieves, you can easily see why people are looking for ways to protect themselves from all of the potential dangers lurking around the corner. The economy is not getting any better, which is prompting people to take from others just to try and survive. Using a security camera around your property will help to prevent the potential threat of someone stepping in and taking from you. As technology continues to grow and flourish, more and more people are relying upon these amazing units to help protect their belongings and loved ones. The devices are growing smaller in size, which helps you to hide them in a place where no one is going to think about looking for them. It makes them easily hidden out of sight, so that way you are sure to catch everything on tape for later prosecution of the individual. 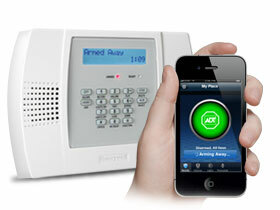 A number of different security systems are available on the market today. If you are searching for a means of monitoring your home without alerting anyone that you are doing so, you can check into the hidden security systems to help protect your home discretely. These cameras are able to be hidden out of sight while still recording all of the activity that is occurring on your property. Before purchasing a security system, you will want to determine if you are going to monitor the outside of your home or the inside because these are two distinct types of cameras.If you are only looking to monitor movement on the exterior of your home, you can purchase one of the motion sensor systems. This camera will only activate upon signs of movement, which helps to save on the life of the battery and your recording space. You will still have access to all of the activity in the area without having to sacrifice the recording. Once the movement ceases to occur, the camera will shut itself off. Since these cameras can be extremely sensitive, you will want to make sure and adjust the levels to prevent recording a bunch of critters making their way around your yard. Since there are two different types of cameras, you will want to decide the area to be monitored before making your final purchase decision. For those who are searching for a top notch security system for your home, you may want to look into the night vision cameras. They help to monitor any activity that transpires in the middle of the night, regardless of whether it is inside or outside of your home. Thanks to the use of an infra-red system, it will monitor the activity quietly throughout the evening hours.All of the security systems have a number of different options from which you can choose to help create the perfect security system for your property. Before you choose which security system is going to work for your home, you will want to compile a list of all the features that you want in your new system. For those who live in an area with a large amount of pedestrians walking along the streets, you will want to have a system installed on the front of your property to help monitor any activity that occurs. If you have children and believe there is foul play on the part of your nanny, you will want to place a hidden camera around your property to catch them in the act.For those who are considering the purchase of a surveillance system, you will want to list all of the security issues you have in your home at this time. If you are only looking for a means to monitor the activities on the outside or the inside of your home, you will want to determine what areas need to be monitored. Many individuals choose to purchase these items to monitor their homes while they are away on vacation for an extended time period. Since there are a variety of different camera options on the market today, you will want to determine which one is going to work the best for you before making any final purchasing decisions. Once you have an opportunity to look into the various options, you will be able to choose the one that is going to accommodate your needs accordingly. The first thing to take into consideration is whether you want your cameras to be seen by the naked eye or not. Thanks to all of the changes in technology, cameras are minimized to a size that is easily hidden in any number of different locations. They can be placed just about anywhere you can think of, so that way the criminal will never know they are being caught on tape in the first place. Smoke detectors, clock radios, baby wipes and other items make the perfect hiding places for your camera. Since the perpetrator will not know that they are being recorded, you will be able to catch them in the act all along. These cameras could end up costing you more than their visible counterparts will. Visible cameras contain a number of different cameras from the traditional black dome cameras those from years ago mounted atop a bracket in a visible location. You can also get the high resolution cameras for zooming in on all of the intricate details. One of the biggest advantages to these cameras is that your criminal will know they are being monitored, which will help to prevent a large amount of crime that would normally take place if the cameras were not there. For those who are working with a limited budget, you can implement dummy cameras along the property line. They are bodies of a camera without any of the working internal parts beyond that of a flashing red light. These cameras are effective in deterring crime because the criminal will not know whether they are being filmed or not. If you don’t have the extra cash to pay for a working camera, try installing four to 12 of these cameras to help fool the criminal into believing that you have a regular security system in place.If you don’t want visible cameras around your property, the hidden cameras prove to be the most beneficial for numerous people. This particular type of camera is the fastest to install around your property. All you need to do is mouth your camera, place the wireless receiver into a back room and wire everything together to a main power hub. You will also need some form of system for recording the video that you capture with the camera. One of the biggest advantages to these cameras is the fact that they can be installed in a number of difficult locations that might be impossible for you to run wires to otherwise. You can easily move them into another location as many times as you choose, which helps to continually improve upon your viewing angles. Place them inside of a traditional object that you use around your home regularly.Make sure to purchase one of these with a band higher than 1.2 GHz, if possible aim for 2.4 GHz. If you are going to need video feed from an extended distance, you will want to buy one of these models that has a higher power for transmitting the signal. Using an antenna will help to improve upon the signal. Moving objects and a strong radio frequency can cause interference with your camera, so you will want to take that into consideration. Video and audio transmissions are limited within the designated range. This particular model is more expensive than a traditional wired system, so you will want to take that into consideration. You will need a lot of transmitters and receiver to receive the feed that you can get normally in one of the wired systems. For most people, the cost is worth the upgrade to wireless because you can easily relocate them and the installation costs are minimal. These cameras are a lot more stable than their wireless counterparts are. Since they have cable, you will not have to worry about any potential interference from other items around your home. You will need to run your video cables into each one of the cameras to produce your video feed. Make sure to run the wires through the ceiling or walls to hide it out of sight, but you can also leave it exposed on the wall. Even though the cost of the system is less than a wireless one, the installation process is going to be more complicated. If you are paying someone to do the job for you, you may want to invest in the wireless system. Look through the total costs associated with installation and purchase of both systems to help determine which one is going to work the best for you. Video and audio from wired systems are a lot more stable than those you are going to get in a wireless system. Depending upon what it is that you need around your home, you can choose from an indoor or an outdoor camera. If you have the available cash, you should consider installing a camera around the front and rear of your home to help ensure the entryways are monitored. Make sure you have a camera that can stand up against all of the elements that may come your way. Unless the camera is sold as an outdoor camera, regular cameras are not going to be able to withstand the beating that the elements throw at it. Weatherproof cameras can withstand the elements with ease and still do their job to ensure the safety of your home.Many homes will utilize many types of outdoor cameras such as standard, bullet or dome. All of these cameras have a waterproof case and some of them even have a heater installed to help protect them from the cooler temperatures. You also have the option of purchasing an armor dome camera that will be able to withstand any hard hits from hammers and bats. For those who live in a high crime area, you will want to consider purchasing one of these amazing cameras. Make sure that you enlist a camera that has all of the capabilities you need around your home. The last thing you want is to purchase something that is not able to protect your home properly. You work hard for your money, so you want a system that is going to work just as hard protecting your home. Don’t settle for something that is not going to provide you with the peace of mind that you desire around your home. Since there are a number of options on the market from which you can choose, you will be able to find the perfect camera in no time at all. Sit back, relax and enjoy the protection a camera will bring you, contact us today!